Leave your board at the beach. It’s the coolest fun you can have without going for a dive. The Big Fun Giant Waterslide is fun for any age. 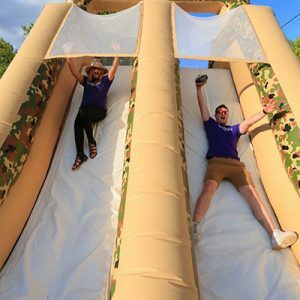 Pair up and run into the two slip-lanes where a specially-fitted water mister will keep you slipping all the way into the giant wave at the end! Setting it up is really simple. 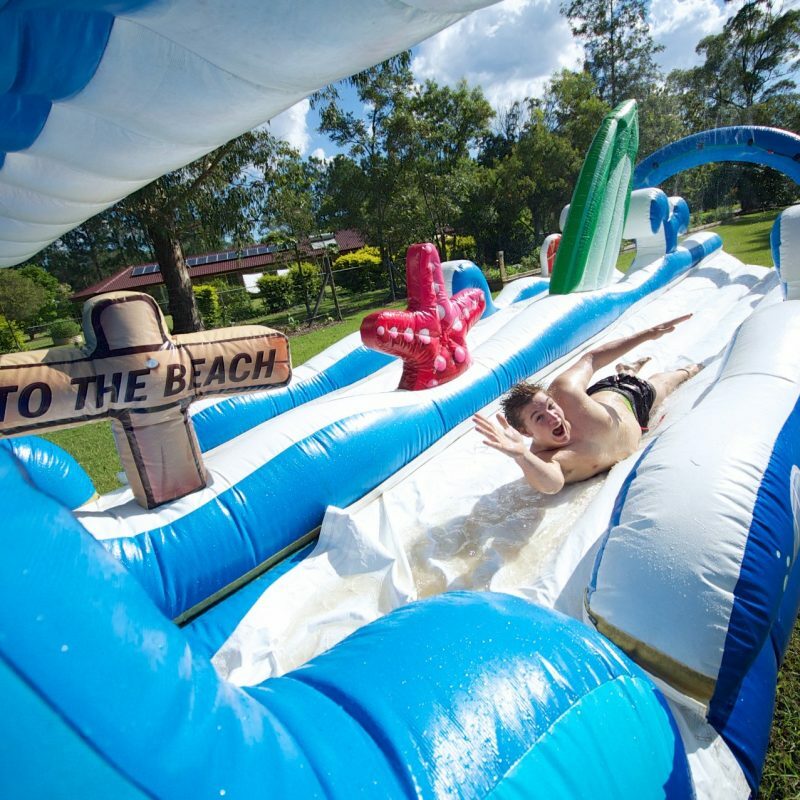 Once we deliver it to the spot you want it, all you have to do is attach the hose and you’re good to go – you’ll have cold water and a smooth track all day long, which is a perfect recipe for a great time! 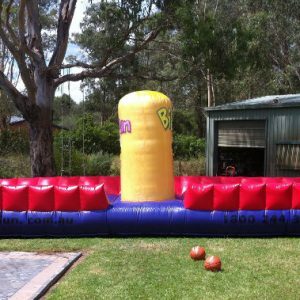 There are plenty of reasons to choose the slip and slide as the entertainment of choice for your event. 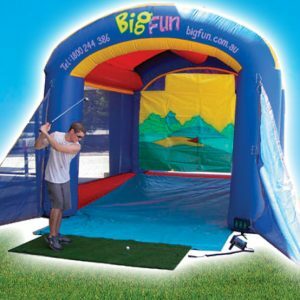 It caters to people of all ages and sizes, and best of all, setting it up is an absolute breeze! 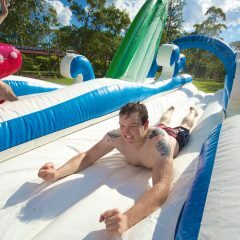 Big Fun’s slip ‘n’ slide is top shelf, high-quality stuff. It’s why we’ve been featured on TV & radio so much. We’re known for making the best rides around, that’s why we’re one of the industry’s longest standing brands. 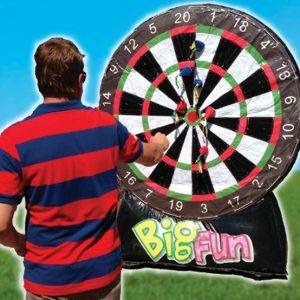 Big Fun is always bigger….better…. funner. 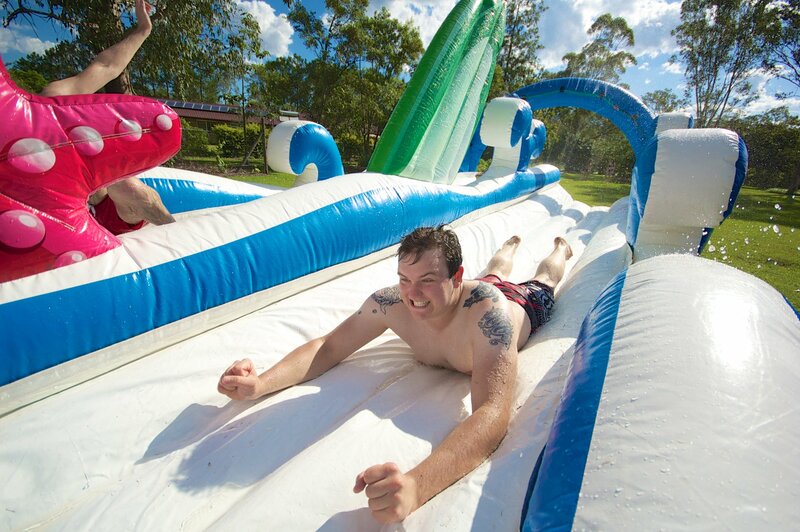 To boost the fun factor on your next outdoor event, give Big Fun a call on 1800 244 386 to hire our Slip n Slide. Our Central Booking Office is open 24 hours a day, 7 days a week so feel free to call us whenever you want. 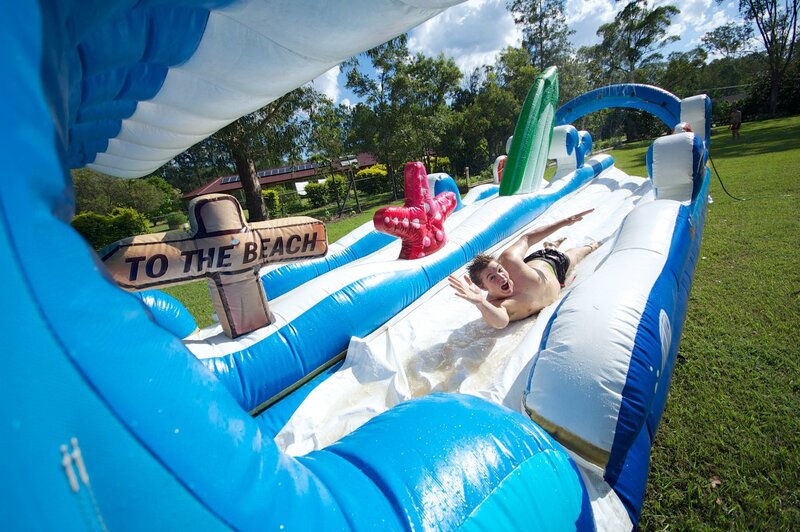 The perfect slip and slide will make your party a real wild ride!